Born and raised in the Black Hills, Miranda has always wanted to be a part of the world of television. 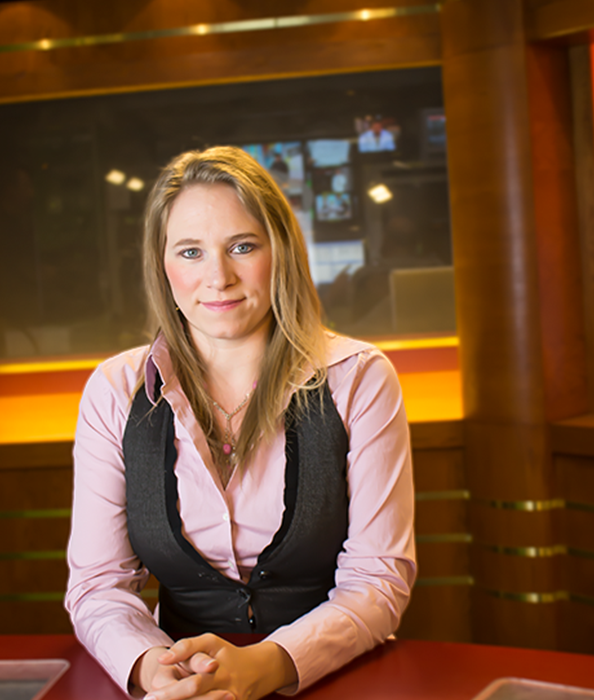 Being in front of the camera was her goal, but after joining the NewsCenter1 family in 2013 as a Master Control Operator, she found that there was much more action going on behind the scenes. With Miranda’s focus on both the Theatrical world as well as the Technical side of television, she graduated from Black Hills State University with a Bachelor’s of Science in Speech Communications with an emphasis in Theater and Mass Communications with an emphasis in Telecommunications. While attending Black Hills State University, Miranda participated in many Theatrical productions in roles ranging from being on stage to working behind the scenes. Proving she chose the right major; she was a Radio Host for campus radio, Social Media Manager and Anchor for campus Television. When she’s not at work, Miranda spends time at home with her husband. She enjoys going on walks around Rapid City and playing video games, as well as cooking.